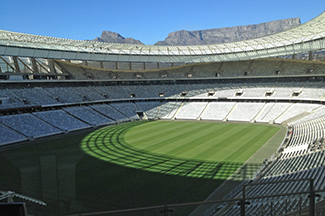 Cape Town Stadium is a massive new sports complex, constructed originally for the 2010 FIFA World Cup. 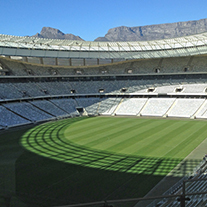 The stadium is located in Cape Town, South Africa and has a seating capacity of 55,000 people. The stadium now caters for all types of sporting events as well as music concerts and other major events. The stadium is also home to the Ajax Cape Town soccer team. The stadium wanted to provide VMS signs on the roadways leading to the stadium. These signs were used to provide parking information, pedestrian information, and advertising information. The VMS from SATT and Applied Information were based on the latest LED technologies. We supplied 2 full color VMS video screens that were capable of player high definition video on these large video screens. 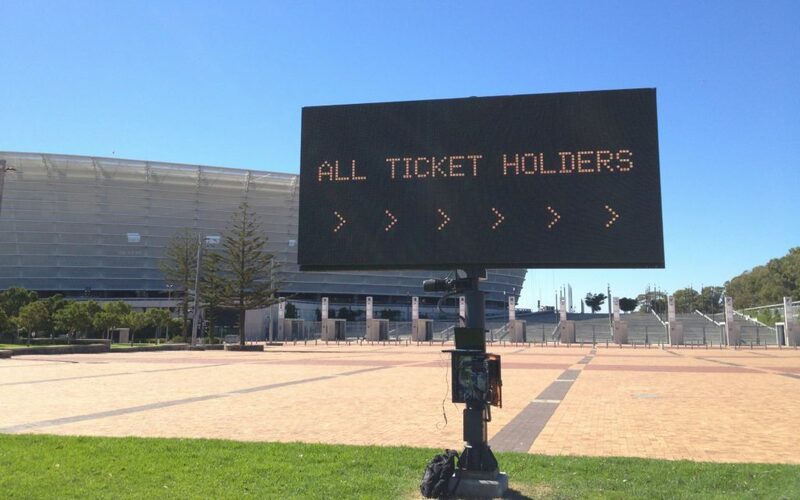 We also provided 11 amber 2 line VMS signs that were designed to provide information to the visitors of the stadium. All signs were controlled via the Glance Central software. 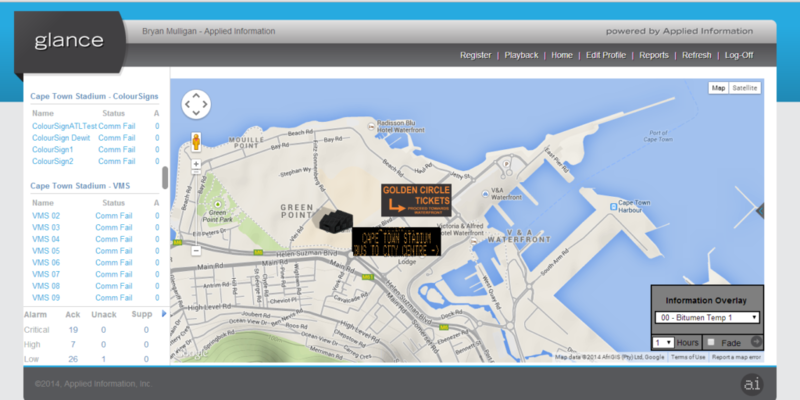 The Glance platform allows operator to monitor and control the VMS signs. The Glance system allows operator to upload new video files to the signs, configure scheduled message, create playlists, preview messages and create custom text messages. The operators can control single signs or send messages to multiple signs simply.